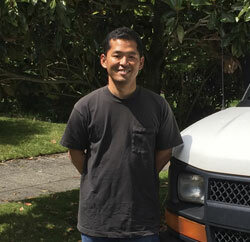 We are an owner operated company focused on the plumbing needs of all those residing in Snohomish County, North King County and East King County. We strive for absolute customer satisfaction along with high quality workmanship. As a diverse company, we provide Equal Employment Opportunity to our employees. Our valuable employees are the key to our continued growth and are treated as family members. At 5 Corners plumbing our trained and knowledgeable technicians have experienced nearly every imaginable situation, and you can count on us to fix your concerns right the first time at a competitive price. We realize that the heart of our company is our customers, we strive to exceed your expectations from the initial phone call to the final clean up. Next time you have a plumbing need, call us for fast, professional and affordable service. We use the quality parts to match our quality services. Plus we can handle all types of other plumbing from your basic faucet replacement to new tub install. To book you service appointment, give 5 Corners Plumbing a call. You will not be disappointed.